Keeping your house in perfect condition can be a nearly impossible task, but keeping it running as well as you received it is. Over time, your house will start to degrade in functionality, which is why it’s up to you to ensure it is always fixed. However, not everyone knows about all the little intricacies that goes into a full functioning home. This is why it’s recommended to hire a professional who has been in this industry for over a decade. One of the biggest problems people face is mold developing. Living in a cooler climate like Charlotte, Michigan, increases the moisture entering your home. This moisture can cause mold to grow in various parts of your home. One of the biggest places for it to grow is on the roof, which is why it’s common to see a water stain on the ceiling. A properly made roof should keep the top cool, but prevents any of this unnecessary climate from entering the home. Additionally, your windows can have leaks, which will cause the outdoor temperature to shift what’s in your home. Leaks can start to appear on windows over time, because the materials used to tighten it have faded away. To identify where the leak is coming from you can use a lighter or a flame. Place the flame in varying positions and if the light bends then the leak is there. Thankfully, there are people who can provide you with excellent service at an affordable price. With the amount of people out there offering their services, it can be headache-inducing to try and find someone who is willing to do your work at an affordable price. Stay Dry has been in this industry for over a decade, which is why we have various services available. Being born and raised in Lansing, Michigan, we understand many of the problems citizens face. Looking through our list of services you are bound to find something to satisfy your needs. One of our most popular services is the installation of high-quality windows. 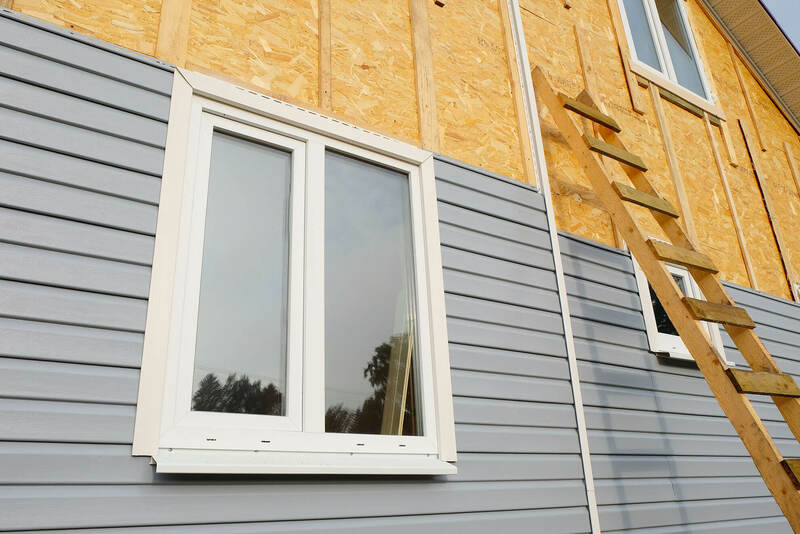 Installing a window takes meticulous attention to detail, because if it’s placed improperly it can look crooked, as well as cause leaks. This is why we only use the best caulk and gauze to fortify the appliance. Additionally, this will help regulate the temperature in your home, instead of having it fluctuate from the outdoor climate. Furthermore, we can install sidings on your wall. Walls have been reported to allow up to an estimated 30 percent of your paid-for air to escape. This will cause your air conditioning unit or furnace to pick up in power, which will then cause your utility bill to rise. The sidings we use will securely keep the air inside, inside and the air outside, outside. Who Should Do Your Home Repair? There are many people in Charlotte providing services similar to us. However, they don’t have the success rate we have obtained over the years nor the friendly customer service we provide. We’ll even gift you with a lifetime warranty when you work with us. This ensures you will always have someone to call during an emergency or for a routine check-up. Contact us now to learn more about our services or to receive a free estimate.